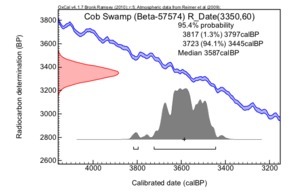 Pollen associated with peaty sediment sample from Core CB3-301at a depth of 297 and 305cm (Pohl et al. 1996:361). 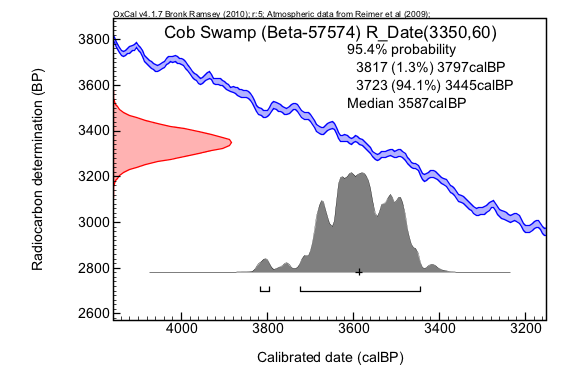 Polen asociado con muestra de sedimento turboso en "Core CB3-301" a una profundidad entre 297 y 305cm (Pohl et al. 1996:361). 1996 Early agriculture in the Maya Lowlands. Latin American Antiquity 7(4):355-372.